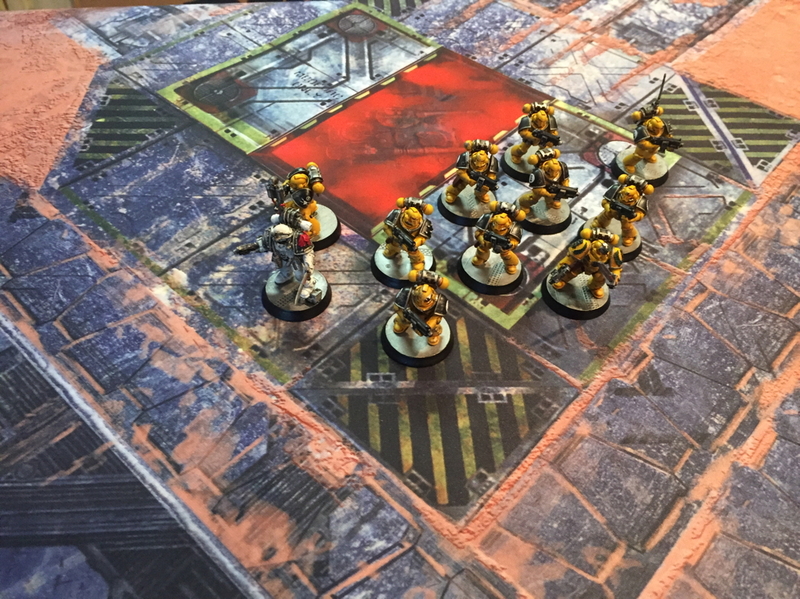 When I started playing 40K the default gaming surface to play on has gone from a big piece of felt or a table with enough gravel flock to scour your knuckles. That’s changed in the past couple years. A lot. 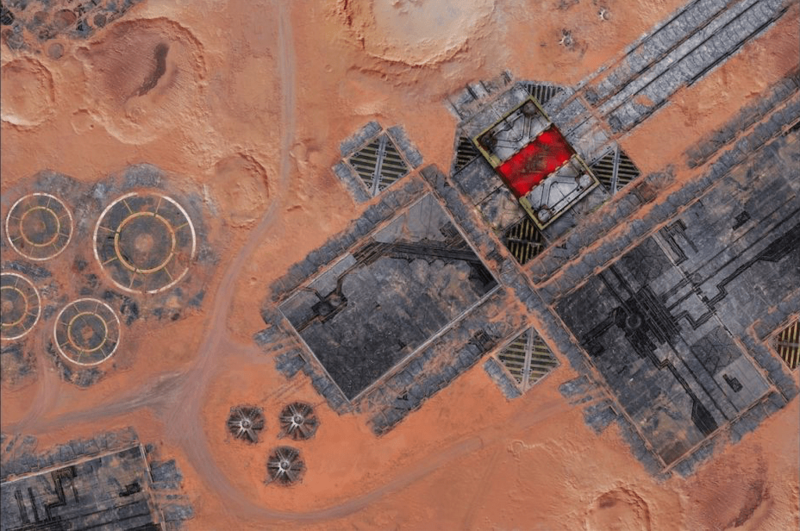 Mousepad like game mats are now supplied by a number of vendors – and today, we take a look at gamemat.eu’s offerings. First, a disclaimer: gamemat.eu kindly offered a review mat at a substantial discount. I was an early adopter of the Frontline/TableWar F.A.T. Mat and thanks to their pretty hefty support of the tournament scene they’re something of the standard. But I started to hear high praise about the gamemat.eu mat (which I’m just going to call the GMEU Mat) from the folks over at Forge the Narrative, so I thought I’d check them out – and compare the two offerings. Design: Overall, I find the designs of the GMEU Mats to be extremely evocative, but also somewhat less generic than the F.A.T. Mat. I’ve always been able to mostly ignore the terrain on a F.A.T. Mat, whereas with a lot of the GMEU designs, I want to treat elements on the board as game elements. They feel less like something you just want to throw some terrain on, and more like the foundation of a nicely themed board. For example, their Kingdom of Heaven board looks perfect for a “Battle for the Imperial Palace” board. 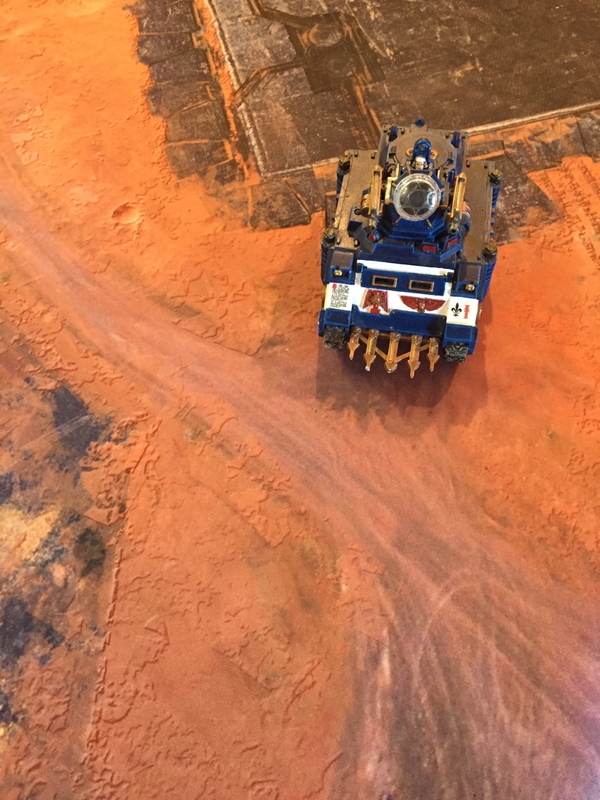 The one I reviewed, Forges of Mars is, well, the perfect Mechanicum-themed table. This isn’t a good or bad thing, but rather a matter of style. In terms of artistic quality, the mat itself is solid. The image below is a closeup of a GMEU Mat and a F.A.T. Mat lying right on top of each other. Neither one is exactly super-high resolution, but it’s more than enough when viewed at 3′. Gotta secure those tanks before the Warmaster’s forces get ahold of them. Which illustrates my point about wanting to make parts of the mat an element of the game – how can that not be an objective? The one complaint I have about the design of the board is that it is just slightly off scale with standard Games Workshop sculpts, and as GW pushes more heroic and dynamic units I suspect this will only get worse. 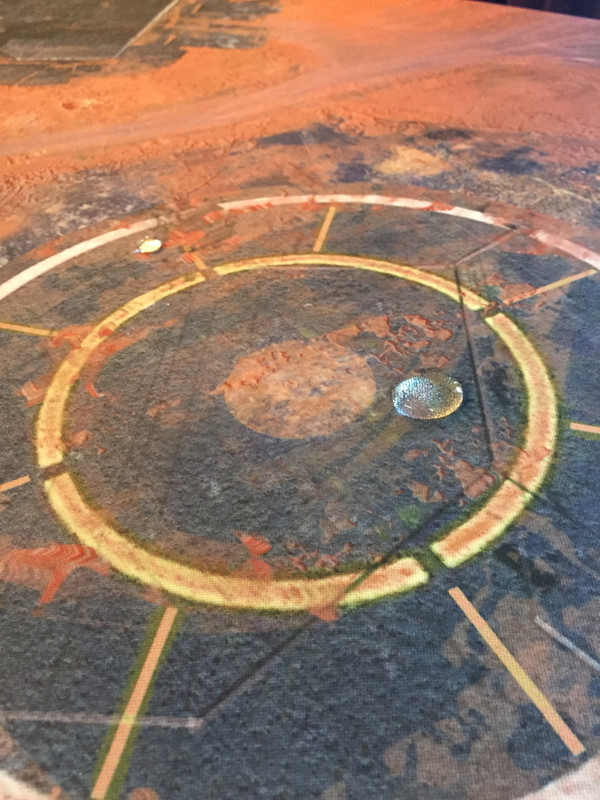 For example, there’s some paths in the Martian sand on this board, and they are way narrower than the tread base of a Rhino, probably the most ubiquitous vehicle in 40K. This is by no means fatal, and indeed is something of a nagging complaint in an otherwise outstanding design. Construction: The mat is everything I’d expected from a mousepad-style mat. It’s thick, durable and waterproof, keeping water beaded up on the surface for a long enough time that you could definitely go for paper towels if a beverage, adult or otherwise, was spilled during the course of play. Like the F.A.T. Mat, it is soft enough that metal miniatures are well protected if they fall over, and sap momentum from dice when rolled that they don’t go skittering all over the table, onto the floor, etc. The one thing I observed is that it is slightly less “grippy” than a F.A.T. Mat, though this didn’t seem to be a problem, even when placed on the relatively slick plastic folding tables I use for gaming. What it does do is make it marginally easier to roll up the mat, which was a pleasant surprise. Overall: I really like gamemat.eu’s offerings. The F.A.T. Mat is one of the better purchases I’ve ever made for gaming, and these mats are right up there. The construction is solid and I find the designs particularly evocative. 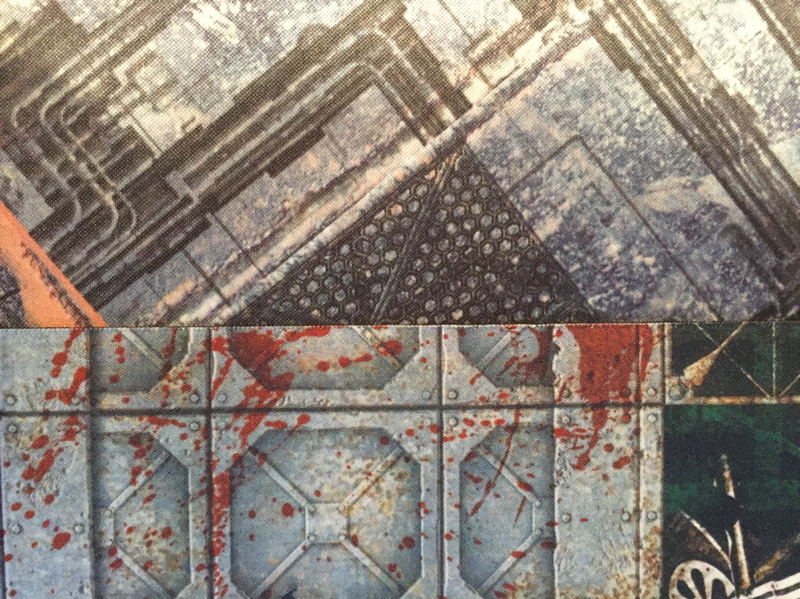 If you can find a mat design that’s properly themed to your army or terrain, they’ll make a great surface to play on. My only complaint is the slightly small scale of the design. Next Post: Is Going to Tournaments Correlated with Winning Them?